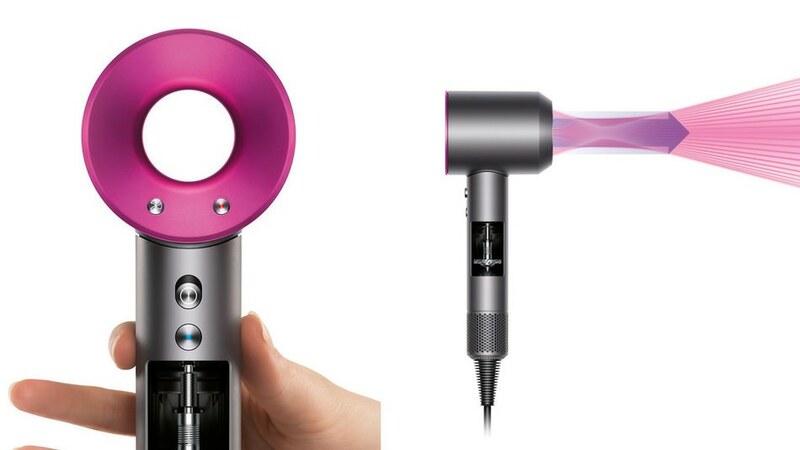 Dyson revealed their slimmer, lighter, quieter first personal hair care product as an appliance that is far less damaging to hair than the humble, conventional hair dryer. The brief for the product was set by James Dyson and was to create a hairdryer he would be able to speak over whilst his wife used it. The design is incredible, it is sleek, futuristic and for me it is interesting to see a brand new take on a rather established bit of household tech that has looked pretty much remained unchanged for the last few decades. The Dyson Supersonic comes with three magnetic air-flow setting nozzle attachments, for gentle drying and diffusing the air. Over the past 4 years, 103 Dyson engineers have worked on this project in a hair research laboratory in Malmesbury, UK. Dyson produced 600 prototypes and have spent £50m investigating the “limitations” of traditional hairdryers for the development of the Dyson Supersonic. Not only that but the engineers have tested it on 1010 miles of human hair! You are able to taylor your blow dry with the Dyson Supersonic hairdryer as it has four heat settings and three airflow settings as well as having a button for a cold air to set your look in place. The Dyson Supersonic focused on a heat control system, hair will not exceed 150 degrees. This means potentially less breakage, frizz and dryness from damaging hair dryer temperatures. Within the design is a glass bead thermometer to measure the temperature 20 times per second, the hairdryer then adjusts the temperature accordingly. The Dyson Supersonic works with their tiny V9 motor that is located in the handle, meaning less arm ache for the user. Their hairdryer is the first to be powered in this way and uses the same airflow principles as the much loved Dyson desk fans. The motor in the Supersonic is faster and therefore gives a higher pressure jet for drying, which is then dispersed with a diffuser. Ultimately their claims are that your hair will be healthier, shinier and sleeker as a result. The Dyson Supersonic launched yesterday in Japan and will be coming to us in the UK in June. No other launch dates have been announced and prices will start at £299. Will you be rushing out to purchase the Dyson Supersonic, is it overkill or is the hefty price tag just too much?